Cooler Repair, Lakeland, FL | Johnson's Mechanical Inc. Cooler Repair, Lakeland, FL | Johnson's Mechanical Inc.
Our professional service will tell you we are your first choice when it comes to cooler repair in Lakeland. Do you have coolers that aren’t working properly and your products aren’t being kept at the proper temperature? Are you tired of trying to fix your coolers yourself and need a professional to complete cooler repair that lasts? 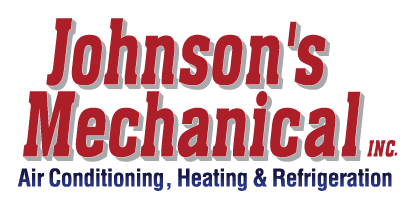 At Johnson’s Mechanical Inc., we’ve been assisting customers since 1982 with their heating and cooling needs, and we can help you get your coolers back to their optimal temperature so your products are safe and temperature regulated. Professional – It isn’t just our honesty and integrity that you will enjoy when you call us for assistance – we also pride ourselves on professional service that will tell you we are your first choice when it comes to cooler repair. We provide a personal touch and will make sure you get the services you need without additional sales pressure. Quick – If you have products on the line when your cooler isn’t working properly, we understand that you need help fast. We’ll come out and address your needs, so you can keep your products temperature regulated. We will work quickly, and you can be worry free. Reliable – If you are tired of calling other companies and they never seem to return your calls, you can rely on our team to assist you every time. Whether it’s your first call or your 100th, you can always trust us to provide the reliable servicing you need. Don’t keep stressing over cooler repair for your Lakeland, Florida business. Call our team at Johnson’s Mechanical Inc. for answers to your questions and 24-hour emergency service when you need us. Cooler repair is a breeze when you work with us at Johnson’s Mechanical Inc.